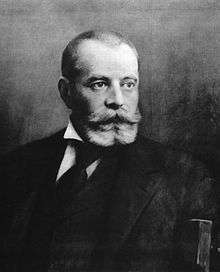 One of the first to propose a telephone exchange was Hungarian Tivadar Puskás in 1877 while he was working for Thomas Edison. The first experimental telephone exchange was based on the ideas of Puskás, and it was built by the Bell Telephone Company in Boston in 1877. 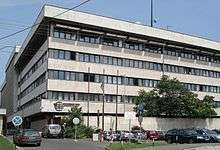 The world's first commercial telephone exchange opened on November 12, 1877 in Friedrichsberg close to Berlin. George W. Coy designed and built the first commercial US telephone exchange which opened in New Haven, Connecticut in January, 1878. The switchboard was built from "carriage bolts, handles from teapot lids and bustle wire" and could handle two simultaneous conversations. Charles Glidden is also credited with establishing an exchange in Lowell, MA. with 50 subscribers in 1878. Manual service is a condition in which a human operator routes calls inside an exchange without the use of a dial. An off-hook condition is a tip condition or describes a circuit that is in use, e.g., when a phone call is in progress. With manual service, the customer lifts the receiver off-hook and asks the operator to connect the call to a requested number. Provided that the number is in the same central office, and located on the operator's switchboard, the operator connects the call by plugging the ringing cord into the jack on the switchboard corresponding to the called customer's line. If the called party's line is on a different switchboard in the same office, or in a different central office, the operator plugs into the trunk for the destination switchboard or office and asks the operator answering (known as the "B" operator) to connect the call. In the largest cities, it took many years to convert every office to automatic equipment, such as a panel switch. During this transition period, once numbers were standardized to the 2L-5N format (two-letter exchange name and five digits), it was possible to dial a number on a manual exchange and be connected without requesting operator assistance. The policy of the Bell System stated that customers in large cities should not need to be concerned about whether they were calling a manual or automated office. If a subscriber dialed a manual number, an operator at the destination office would answer, see the number on an indicator, and connect the call by plugging into the correct circuit and ringing the call. For instance, if a dial customer calling from TAylor 4725 dialed a number served by a manual exchange, e.g., ADams 1383, the call would be completed, from the subscriber's perspective, exactly as would a call to LEnnox 5813-W, in an automated exchange. In contrast to the format MAin 1234, indicating an automated office, or a manual office with operator indicators for incoming dialed calls, a listing such as Hillside 834 or East 23 were recognizable as being on a manual exchange because the second letter was not capitalized. The smallest towns with manual service often had magneto telephones, which had an external crank for the internal signaling generator. Using this type of service, the subscriber turned a crank to generate ringing current to gain the operator's attention. 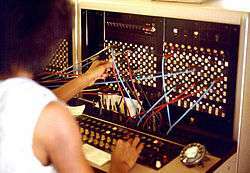 The switchboard would respond by interrupting the circuit, which dropped a metal tab above the subscriber's line jack and sounded a buzzer. Dry cell batteries (normally two large N°. 6 cells) in the subscriber's telephone provided the DC power for the transmitter. Such magneto systems were in use in the US as late as 1983, as in the small town, Bryant Pond, Woodstock, Maine. 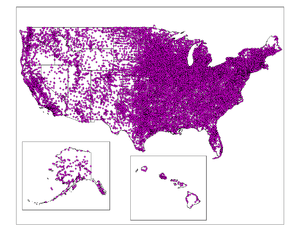 Many small town magneto systems featured party lines, anywhere from two to ten or more subscribers sharing a single line. When calling a party, the operator used a distinctive ringing signal sequence, such as two long rings followed by one short ring. Everyone on the line could hear the signals, and could pick up and monitor other people's conversations. On rural lines that were not connected to a central office (thus not connected to the outside world), subscribers would crank the correct sequence of rings to reach their party. A rural telephone exchange building in Australia. Early exchanges were electromechanical systems using motors, shaft drives, rotating switches and relays. Some types of automatic exchanges were the Strowger switch or step-by-step switch, All Relay, X-Y, panel switch and the crossbar switch. Examples of these systems included the Western Electric 1ESS switch, Northern Telecom SP1, Ericsson AKE, Philips PRX/A, ITT Metaconta, British GPO/BT TXE series and several other designs were similar. 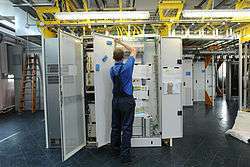 Ericsson also developed a fully computerized version of their ARF crossbar exchange called ARE. These used a crossbar switching matrix with a fully computerized control system and provided a wide range of advanced services. Local versions were called ARE11 while tandem versions were known as ARE13. They were used in Scandinavia, Australia, Ireland and many other countries in the late 1970s and into the 1980s when they were replaced with digital technology. 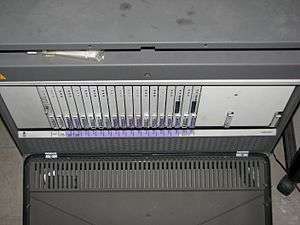 A typical satellite PBX with front cover removed. Telephone switches are a small component of a large network. 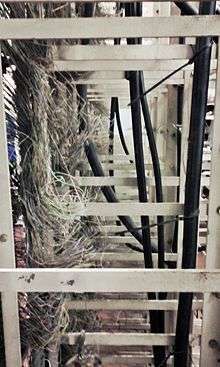 A major part, in terms of expense, maintenance, and logistics of the telephone system is outside plant, which is the wiring outside the central office. 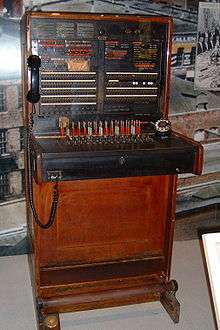 While many subscribers were served with party-lines in the middle of the 20th century, it was the goal that each subscriber telephone station was connected to an individual pair of wires from the switching system. 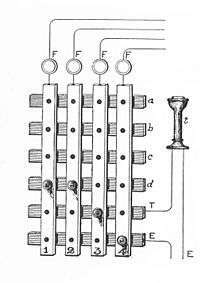 The structure of a switch is an odd number of layers of smaller, simpler subswitches. Each layer is interconnected by a web of wires that goes from each subswitch, to a set of the next layer of subswitches. In most designs, a physical (space) switching layer alternates with a time switching layer. The layers are symmetric, because in a telephone system callers can also be callees. In July 1951, during massive flooding in Kansas and Missouri, a manual switchboard in Manhattan, Kansas was abandoned as water levels rose in the central office; operators regained access to the town's four trunk lines from a local filling station on higher ground to send emergency messages and radiotelephone was used to bypass damaged facilities. On February 27, 1975 a fire at New York Telephone's building at 204 Second Avenue (at East 13th Street) in Manhattan destroyed the main distribution frame and damaged much of the underground cabling, disconnecting 170,000 subscribers. This office connects many circuits to Brooklyn which were disrupted. 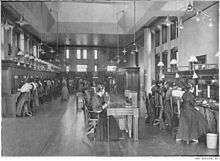 Equipment was redirected from other Bell System operating companies in multiple US states to establish temporary service and rebuild the destroyed exchange. In 1978, a central office fire in Mebane, North Carolina knocked out every one of the small community's 3900 phones. In May 1988, a central office fire in the Chicago suburb of Hinsdale, Illinois knocked out 35,000 local subscribers, broke the link between the FAA and air traffic control at Chicago O'Hare International Airport (then the world's busiest) and disrupted the Midwest's ability to communicate with the rest of the country. The office had a fire alarm but no automatic fire suppression equipment. The facility was unattended and monitored remotely by an Illinois Bell technician in Springfield; it took an hour to notify firefighters of the blaze as the distant technician's attempts to call the fire department in Hinsdale did not get through. The fire had already knocked out the phone lines. In 1991, all twenty-eight exchanges serving Kuwait were out of service in the wake of a 1990 invasion by Iraq; equipment had been looted and central offices destroyed. Service was initially restored via satellite. On September 11, 2001 a terrorist attack destroyed a central office in the World Trade Center in New York City and heavily damaged an adjacent exchange. 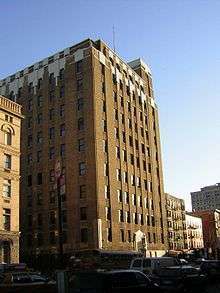 The Verizon Building at 140 West Street was restored by 3500 workers at a cost of $1.2 billion, after 200,000 voice lines and three million data circuits had been knocked out of operation. ↑ "Early Manchester telephone exchanges" (PDF). mosi.org.uk. Retrieved 2013-07-30. 1 2 Calvert, J. B. (2003-09-07). "Basic Telephones". Retrieved 2007-09-13. ↑ Calvert, J. B. (2003-09-07). "Basic Telephones, The Switchboard (ringdown is near bottom)". Retrieved 2006-09-13. ↑ AT&T Tech Channel (2011-06-17). "AT&T Archives : Flood Waters". AT&T. Retrieved 2013-07-30. ↑ "Miracle on Second Avenue: Reconnecting 170,000 Phone Customers in NYC After a Major Fire" (archive video, 0:22:40 including modern introduction). AT&T. ↑ AT&T Tech Channel (2012-07-13). 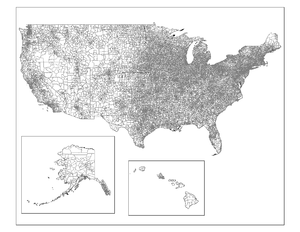 "AT&T Archives : The Town That Lost Its Voice". AT&T. Retrieved 2013-07-30. 1 2 Andrew Pollack (1988-05-26). "Phone System Feared Vulnerable To Wider Disruptions of Service" (PDF). New York Times. Retrieved 2013-07-30. ↑ "Operation Desert Switch" (archive video, 0:17:04). AT&T. 1991. ↑ "Wall Street a year on: Annus horribilis". The Economist. 2002-09-05. Retrieved 2013-07-30. ↑ "Bond trading resumes, stocks remain on hold". The Mount Airy News. Sep 14, 2001. Ronayne, John P. (1986). Introduction to Digital Communications Switching (1st ed.). Indianapolis: Howard W. Sams & Co., Inc. ISBN 0-672-22498-4.